Dr. Augustyniak is a proud and true graduate of West Point Military Academy (1972) and Tufts University of Dental Medicine. In 1980, after serving in the United States Air Force as a dentist, Ed joined Spring Hill Dental Associates in 1983. 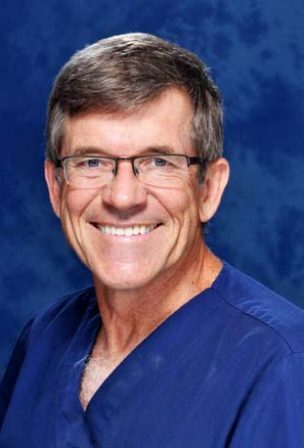 Dr. Augustyniak is a member of the Florida Academy of Cosmetic Dentistry and the American Dental Association. He is a preferred provider for Invisalign® and is constantly updating his skills in the area of cosmetic dentistry. Dr. Augustyniak volunteers at the Crescent Clinic in Spring Hill that serves those in our community who are uninsured. When not at the office or volunteering, Dr. Augustyniak can be found on the tennis courts. He has five children, three live locally and the other two at various locations around the world. He and his wife Pat have four granddaughters and one great-grandson.